Prison society has always had its own unique language. With roots in codes and secret communications, it has evolved over many years, allowing criminals to communicate with each other privately. This language, called "argot" from the French argot - a beggars' guild, criminal cant, and slang-has significant meaning to inmates. Coded communication allows prisoners to define their relative status and rights, just as workers who were members of corporations and guilds had their own argot for the same purpose. 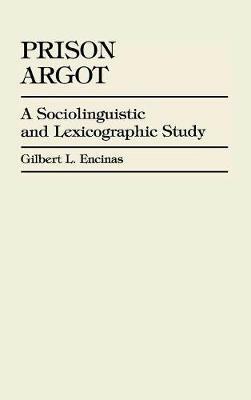 Prison Argot is Gilbert L. Encinas' study of the different elements of prison language.